Since this is the week for Homeopathy and Families, it seemed important to bring up a topic which is very common in families these days–depression which is often accompanied by anxiety. Are more people depressed than used to be? Are more people getting diagnosed with depression than there used to be? Is this because there are now medications for it so it is more acceptable or perhaps people just think they are depressed? The blues can be helped with homeopathy. Very complicated indeed. I think it is safe to say that the world is a more high pressure place than in decades previous. Depression and anxiety can be rooted in feeling like one hasn’t fulfilled one’s duty, or can’t achieve what is expected of them. Nonetheless, a person with anxiety or depression can have an effect on an entire family. It is a very important topic. The diagnosis of depression is often called a “garbage bag” or “kitchen sink” diagnosis by homeopaths. The reason is because it can include such a wide variety of symptoms, that it isn’t necessarily helpful in determining the correct remedy. In fact, in the homeopathic repertory, a 4 inch thick book of symptoms used to narrow down remedy selections, there are 761 remedies listed in the symptom of “Sadness”. That is not a very useful symptom in narrowing down a remedy to suit an individual’s version of sadness. It doesn’t address what the sadness feels like to each person. If you have depression, or someone you know has depression, have you ever thought about how you or other people experience it? What is it that makes your depression uniquely your experience, different from what others go through? Maybe you experience it as feeling unloved and abandoned. Perhaps it is a dark cloud chasing you. People have spoken of feeling detached, separated from what is going on around them. Others say that they never feel supported by friends and loved ones. Depression can be situational as well. Seasonal Affective Disorder (SAD) is well known in northern climates where the days are short and the nights are long. Some people seek relief from a light box. That time of year is coming soon to Minnesota. Whatever the words you use to describe your sadness, you can see that one size does not fit all when it comes to depression. Depression is often accompanied by anxiety. A quick check in the homeopathic repertory shows that there are 473 remedies listed under the symptom of “Anxiety”. Again, not a very useful symptom in narrowing down a remedy to heal an individual’s anxiety. People get anxious for various reasons. Some people feel anxious about money, even if they have more than they can spend. Social situations bring out the anxiety in others. Being alone, driving, flying, public speaking, or having nothing to do are yet other situations that bring on the uncomfortable feeling of being anxious. It seems during the holiday time of year, pre-existing depression and anxiety are worse than ever. The feelings behind that depression are heightened because there are so many expectations placed on individuals by friends, family and society. Anxiety and depression that can be ignored any other time of the year seems to be harder to manage during the holiday season. Arriving at the perfect remedy for you is easier when one is not doing so well. Many clients of homeopathy have sought relief from their depression or anxiety with anti-depressants or anti-anxiety medications prior to seeking homeopathic treatment. In some cases, the western medications can provide the relief people seek, and in other cases, only partial relief is found, or there are so many other side effects, that the patient feels better off the medication than on it. Then of course, there are those TV commercials that state the side effects so matter-of-factly. Many people ask how we know that homeopathy is helping if we are giving it to people at the same time as their anti-depressant or anti-anxiety medication. It can be difficult, especially if they are started at the same time. As with any treatment plan, it is best to introduce only one modality at a time to determine which is working and which isn’t. SAD is common in Minnesota and other cold weather states. However, people who have a number of other symptoms (who among us doesn’t?) or people who have been on their medications for awhile before starting homeopathy can definitely tell the difference. The other symptoms begin to improve. Clients also report that although they may have felt better with anti-depressants, they feel better than ever emotionally on their homeopathic remedies. For example, the source of someone’s depression may be that they feel that no one loves them. The anti-depressant may help them feel less sad about that false belief, but it won’t help change their perception of others opinions of them. A homeopathic remedy will change the underlying root of the depression—in this case, feeling unloved—so that they no longer have a reason to feel sad. Homeopathic clients frequently wonder when they can begin the process of discontinuing their medications. This is up to the client. He or she will know based on how they are feeling when it is best to discontinue. However, they should consult their homeopath and their physician before doing so. Most homeopaths recommend a longer tapering off period than even physicians do. No matter how good a match the remedy is to the person, abruptly discontinuing the anti-depressant or anti-anxiety medications is never a good idea. A longer tapering off period is often easier on the body. With any homeopathic remedy, there is always some permanent healing that takes place with each dose. But there is also a lot of support that is given by the energy in the remedy as well. If you stop the medications too suddenly or taper too quickly, it can cause your body to use up the energy in the remedy more quickly. When a person is treated homeopathically, he or she often feels so good that an attempt will be made to discontinue the traditional medications too soon. Don’t worry about this. If you have to increase your dose again for awhile, it simply means that the symptoms are deeper than the remedy has been able to reach. Be patient. It will happen. And when it does happen, you will be able to blossom into your own self, with fewer limitations and less dis-ease. 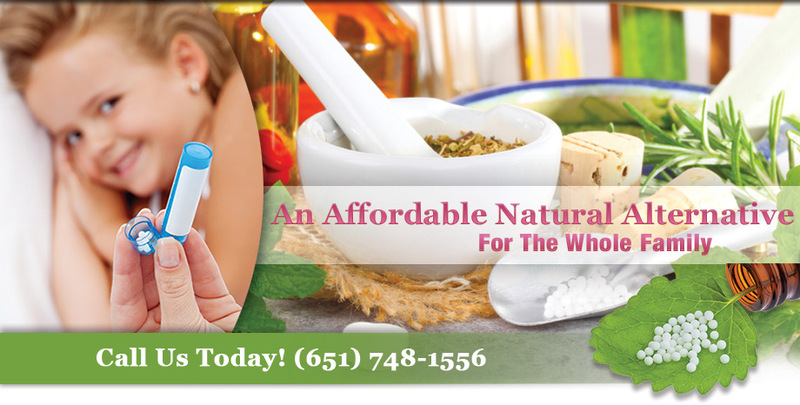 Contact me if you would like a complimentary consult so see if homeopathy would work for you.